Enzymes blow me away, and really do speak of some kind of underlying order in the Universe. I mean, you can’t just study enzymes and their activity without thinking there’s some kind of voodoo at work. When I was young (and even occasionally in these adult years) airplanes would fill me with wonder. I mean, we know how airplanes work, but it still seems somehow magical. Something that big and , well clunky just has no business flying. It’s like that old chestnut about bees. Yes, we know they have no business flying but they just do. Enzymes have that same mystique. They are catalytic proteins which enable a vast array of biochemical reactions and processes to take place. Without these little worker bees swarming around inside us DNA is useless. After all, DNA may be biomolecular royalty but the French Revolution taught us what happens to royalty when no one’s listening: it becomes surplus to requirements. Enzymes are thought to work in two main ways. Both avenues are a function of shape. All proteins perform functions tied into their conformation. Over 30000 proteins are known to exist, with a bewildering array of structures: knots, crazy tangles, wheels, hooks, and just about any other shape you can imagine. How is shape important, you ask? Do you ever dive into a tool box to perform basic household repair jobs? Smartass remarks aside, you grab the hammer. Why? Because the hammer has a very particular shape which turns out to be just right for banging small things (nails) into bigger things (walls). The hammers job is a function of its shape. It doesn’t really stop there. Analogous to proteins; which have been evolving and changing for billions of years hammers are the result of centuries of engineering and refinement. After all, if you were in a hurry or just plain lazy you could have hammered the nail with any heavy object (lucky the cat’s out of reach right now). However, something heavy like a book would kind of do the job, but it would have limitations. It may not fit in your hand well. It may rip when being slammed into the nail. If it’s a soft cover book it may absorb the energy of impact. It’s width will impair your view of the task at hand. Get the picture? A hammer circumvents all of these limitations. You hammer the nail back in and hang your certificate back up. Your cat is having a bad day. The hammering has driven it over the fence and into the neighbour’s yard. 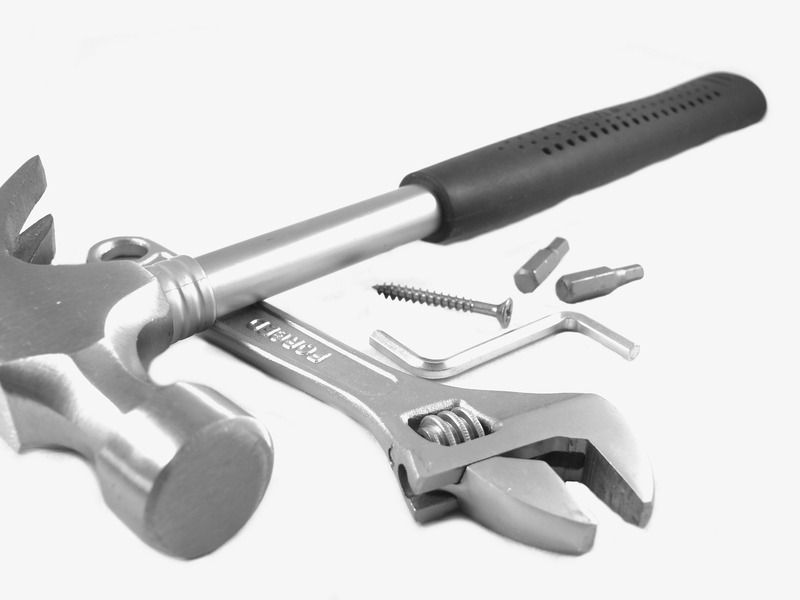 Other tools in your toolbox have very particular functions closely tied into their shape or design. So it is with proteins. The crazy whorls and loops in myoglobin allow it to be a particularly effective binding pigment, which attaches to iron and oxygen. Found in all mammals it only appears in humans after muscle injury. It appears in higher levels in ocean going mammals such as whales and dolphins, which often dive for extended periods, allowing them to remain submerged. Protein chemistry and function is surprisingly interesting, but falls outside the scope of this overview. A youtube video briefly explains enzymes and how they work. Proteins are perhaps more astonishing given that they aren’t alive. Yet, they tirelessly perform myriad functions within living things, allowing a signal of life to emerge from chemistry and metabolic white noise. If you find proteins or other biomolecules interesting, which ones interest you? Interesting comments may form the basis for future blog posts or even youtube videos. Leave a suggestion for the biochemical employee of the week! Previous Post#FirstScienceCrush: Meeting ScienceNext Post#DNA: What’s the Deal? I absolutely love this post. You write with such a passion and fluidity that your blog is so pleasurable to read. You really know how to paint a picture in the reader’s mind. I think I’ve just fallen in love with biochemistry again. Thank you! Thanks a lot! I do enjoy writing, and think a little bit of character can be injected into anything. Great post! I feel bad for the poor cat though. Why does myoglobin only appear in humans after an injury? Hi Olivia. Thanks for enjoying the post. I enjoyed writing it. Who isn’t amused by cats and their reactions? After all, isn’t the Internet all about cat videos ;p ? 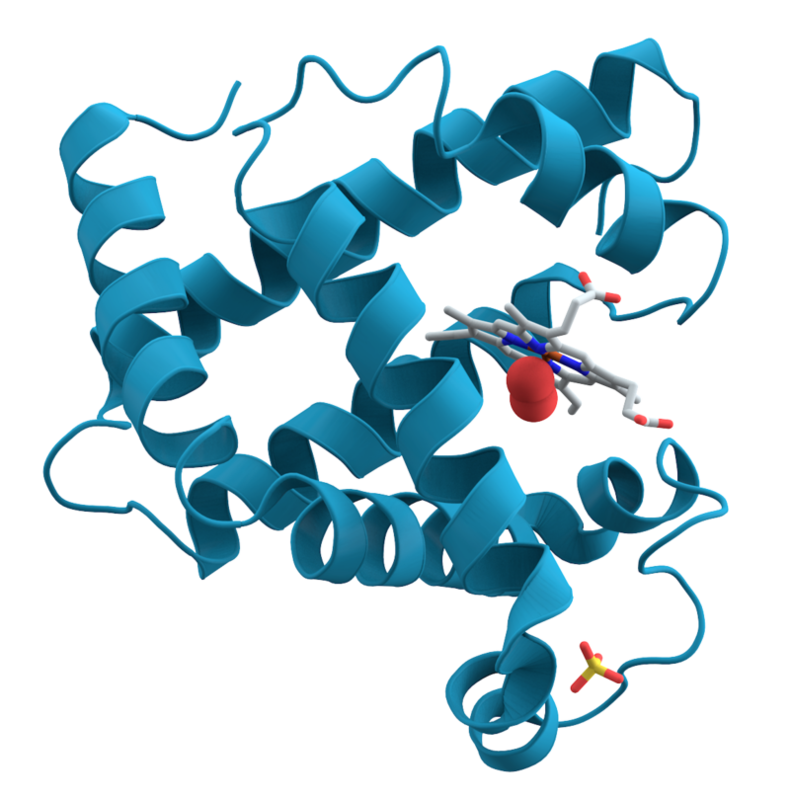 Myoglobin is an oxygen binding molecule. It plays a role in providing oxygen to tissue during periods of low oxygenation such as after exercise. This plays a significant role in tissue repair. This repair role is equally effective in remediation of injured tissue, aiding in cellular growth and regeneration.